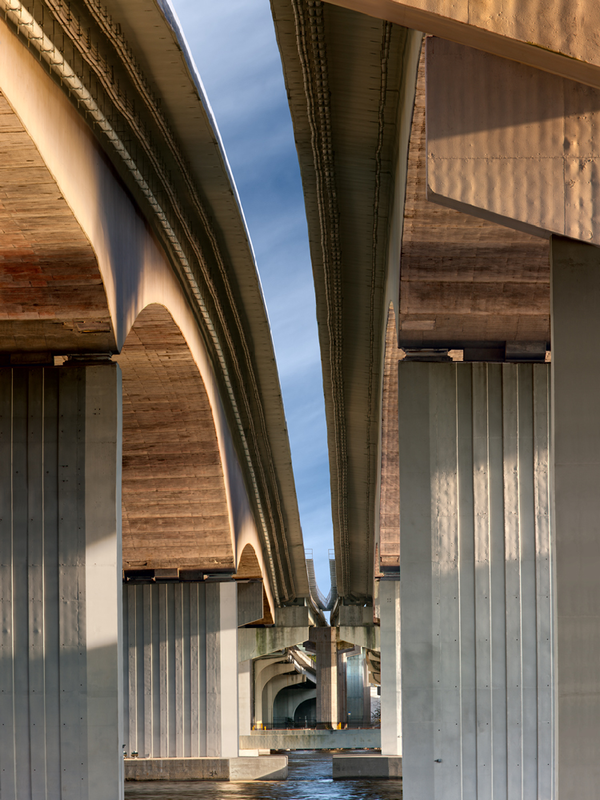 Location: Jacksonville, Florida • Date: 11/16/10 • Standard Print (w & h): Image: 22.0" x 29.3"
This image of the merge on the Acosta Bridge is composed of 9 individual shots taken at 560mm. The shots were taken from the foot bridge over the railroad tracks, which is used by numerous walkers, runners and bikers who are proceeding along the river. While I was taking my tripod down, a couple stopped and asked me what I was taking a picture of. When I showed them what I had shot, they replied, "cool".